My friends just bought me a DIY Solar Boat Kit. It's got 6 components (solar panel, hull, motor, rudder, oars, and oar rings). It's made in China by Vibe E-ssential and you can find it on Amazon for $9.99. First, I noticed that it works well in the sun and pretty well under 100 watt light bulbs. Second, when I put my finger horizontally over the cell, it works fine. When I put my finger vertically over the cell, it stops immediately. Watch the video for this demonstration. The reason for this is because of the positive and negative quadrants of the solar cell. 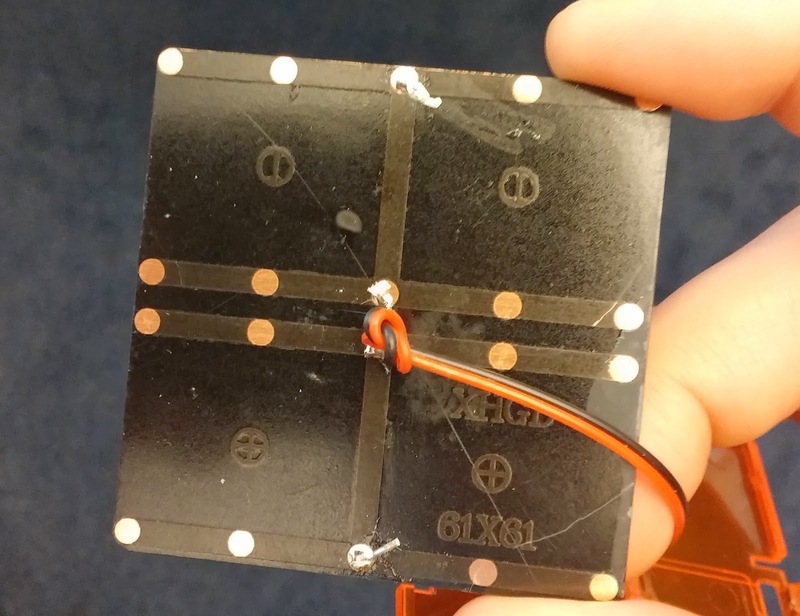 On the back of the solar cell (pictured), there at 4 quadrants--two positive and two negative. If two positive or negative quadrants are shaded at the same time that is when it stops. That's true for other solar cells and whole panels! Finally, I'm excited to try this in one of DC's reflecting pools so keep your eyes out for those videos!